Vicki’s first pregnancy wasn’t easy, so when she found out she was expecting a second child, she was a bit nervous. However, carrying her second child was much different than her first. She was positive and upbeat, and enjoyed the outpouring of attention, support and thoughtful assistance from those around her. As Vicki remembers it, she didn’t open a door for herself or pass a stranger that didn’t smile a single time during the nine-month period. Vicki discussed how she felt with her Early Head Start home visitor from Project Eagle — who came to her home once a week to support her as her children’s teacher and caregiver. Thanks to a partnership between Project Eagle’s Early Head Start home-visiting program and The Family Conservancy’s Moving Beyond Depression (MBD) program, Vicki’s home visitor was able to provide a preliminary depression screening and based on the results, Vicki was referred to MBD to receive free therapy in her home. As local Head Start agencies, The Family Conservancy and Project Eagle provide Head Start services to area families. In addition to being offered at The Children’s Campus, these services are provided where children are already learning — existing child care programs and in the home. 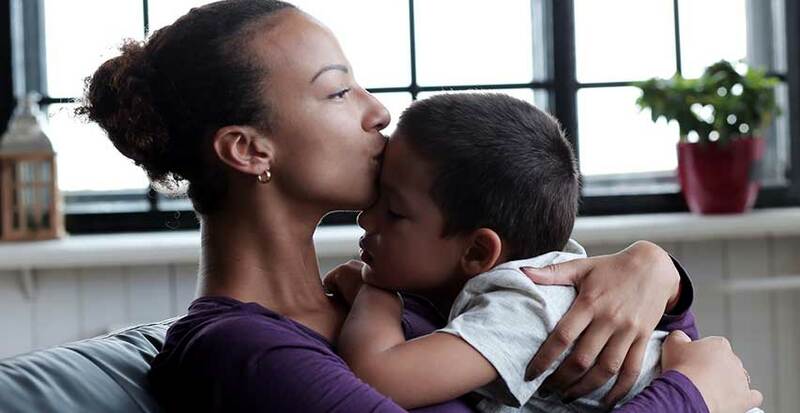 In 2016, MBD joined United Way of Greater Kansas City’s Promise 1000 collaborative, which connects home visiting agencies to create a system of services delivered to at-risk families in their homes. TFC and Project Eagle home-based Head Start programs and MBD are part of the collaborative.